This book teaches two things: how to create great content and how to create and publish content for each of the biggest social networks. As each social network is different, the dynamic there is different as well. The main message from this book is that too much selling in your content is not how social media should be used. Instead, the best strategy to follow is to share value, give more, and, when the time comes, sell. 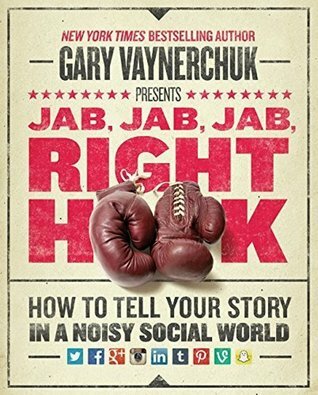 Just like the title of this book, Jab, Jab, Jab, Right Hook, which really means “give, give, give, sell.” Most people might have difficulty understanding what giving is. It’s not about bragging or selling. It’s about creating content that is either funny, informative, generous, or inspiring. Gary Vaynerchuk is the ultimate businessman. Born with an entrepreneurial spirit, Vaynerchuk is a proven investor and advisor in the world of startups. He is an expert on the Fortune 500 world through his work as the CEO of Vaynermedia, a social media marketing agency. Having two bestsellers under his belt doesn't hurt either. Glam it up on Pinterest. Consider using other social media depending on your business.